I met Tyrone ten years ago. We were both clueless beginners – just starting our wealth creation adventures. Back then, financial freedom was more of a daydream than reality. But even though we shared a similar mindset and wanted to achieve the same things – somehow we never stayed in touch. Nothing happened though – just life. That odd, unfamiliar feeling caught me off guard. Like some invisible circle has been completed when we finally got back in touch during this interview. I’m not sure what prompted what happened next. Maybe my excitement. Maybe Tyrone’s killer interviewing skill. Whatever the reason, by the time we hit the “stop” button I had answered questions I’d never spoken about before. Not even with some of my closest friends. …and incredibly therapeutic at the same time. I opened up about the anxiety I felt when I transitioned from my safe career into property – something I knew almost nothing about. We shared the challenges of becoming an investor while still working the 9-to-5 and wanting to spend time with your family… And other aspects of balance most people are too afraid to face. And of course, we discussed how you can pull the trigger and pave your path to financial freedom no matter where you currently stand – and how to do it faster and with less stress than we did. As you will hear – A better life filled with more leisure, travel, experiences, and far less financial stress… Is right around the corner. All you have to do is start walking in the right direction. And this interview will give you the pointers you need. I enjoyed this interview so much that I asked Tyrone if I could share it with you here. He generously said “of course!”, so here it is. I hope you enjoy listening to our conversation as much as I did chatting with Tyrone. If you’re short on time, here’s a quick summary of the key points Tyrone and I discussed in this interview. It’s never too late to switch careers and focus on your personal goals. Matt worked as a lighting technician, then as a postie before becoming involved in property investing in his mid-30s. Matt had no experience in or exposure to property investing, but became interested in it after reading a book by Steve McKnight, an accomplished property investor and author. Matt used property investing as a vehicle to allow him to spend more time with his family, live abroad and stop trading his time for money. If you are working full time, it can be difficult to find the time to focus on property investing. If you have limited time, resources or serviceability due to work responsibilities, you should look for joint venture partners who have complementary resources to help you achieve your goals. As you transition to full-time property investing, balance is crucial. Although quitting your day job can create pressure to find deals and make you more resourceful, you still need to be able to pay your bills. Although it may be tempting to focus solely on the resources that joint venture partners can provide (cash, serviceability, time, expertise), you should also pay close attention to their personality and how you get along. Because people can change under pressure—especially when large amounts of money are at stake—you need to consider how someone will react. Flexibility is essential for a joint venture partner. They should be able to cope with changes in the deal and the market. Joint venture partners should have a clear understanding of the risks involved in any project. Clear communication about roles and responsibilities is critical to a successful joint venture. You don’t want to lose family and friends over a property deal, so you should be sure that each partner has complimentary skills and responsibilities. The roles and responsibilities in a joint venture must be balanced relative to the profits received; otherwise, resentment and conflict can result. If you’re short on time, here’s a quick summary of the key points Tyrone and I discussed in the second part of this interview. Matt attributes a large part of his success in property investing to working on his personal development. By hiring a personal development coach, Matt worked through his emotional roadblocks and changed his limiting mindsets. One of Matt’s limiting mindsets was surrounding his self-worth. Because he made $60,000/year working as a lighting technician, he said his mindset was preventing him from breaking through that salary ceiling when he made the switch to property investing. After Matt made the emotional decision to pursue his goals and began to understand his fears and limiting mindsets, he made positive changes that helped him create real success. Matt realized that mindset accounted for 70 percent of property investing success; strategy accounted for the other 30 percent. Therefore, the answer for Matt wasn’t learning new strategies or doing more deals; instead, it was changing his mindset. Matt said that consistently practicing meditation, reading wealth creation and personal development books and focusing on creating balance within his “perfect day” helps to keep him in the right mindset. Matt got his start in property development by doing renovations, which he said were a lot of work. He believes that there are two keys to a profitable renovation project: Buying well and creating a product that people want to buy. 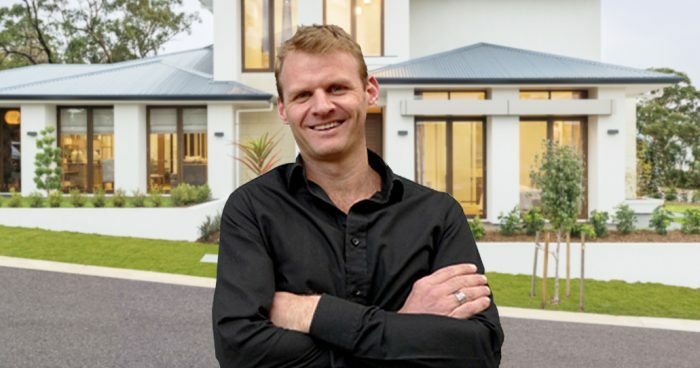 Although Matt’s early strategy was to sell his properties for profit after completing the renovations, he said that he wishes he would have held onto some properties to build a portfolio that would create wealth over the long term. Matt initially focused on active investing strategies, but he said that having a mix of active and passive investments can help you earn money in the short term while planning for the future. Matt said that humans have an average of 4,000 weeks on Earth, so he and his family decided to make the most of it by fulfilling their dream of living abroad. Although Matt agreed that money is important as a vehicle to finance his desired lifestyle, he and his family decided not to focus on the number of property deals he was doing or the amount of money in the bank for a while; instead, Matt restructured his business to generate cash in new ways while focusing on creating memories with his family. While Matt and his family were living in France, they were supported by their property investments and business pursuits in Australia. Early in his property investing journey, Matt struggled with trying to do everything himself. Eventually, Matt learned that property investing is about teamwork and he began building a team to help him get things done more efficiently. Living abroad forced Matt to learn to delegate and hand over responsibilities to trustworthy members of his team. Find a Stellar Property Deal In Seven Days – Guaranteed! Discover an easy to follow system to securing your next property deal… AT 20% BELOW MARKET VALUE… In any suburb In Australia… in just 7 days. Hey Matt, thank you so much for your time to share your inspiring story on Property Investory podcast. I learnt so much from you and can’t wait to share more of your joint venture strategies with many more listeners! It was a pleasure and a privilege to chat with you and I hope our discussion travels far and wide spreading knowledge, insights and inspiration to many.